The VERY BEST way to Edit an Event Listing is to RE-POST the ENTIRE Notice and notify the Special Events Editor to delete the unwanted listing, specifying which to delete. Editing bits and pieces on the data base is impractical. It's much more efficient to re-submit and delete the data. Wear your favorite PJs and get ready for milk and cookies. Stuffed animals are optional. 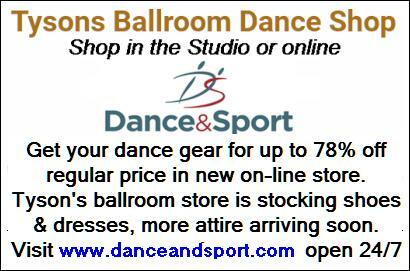 8:30 – 11:45pm $15, Buy a dance card and save! 1-5pm, $10 (Adv), $15 (at the door, if available). - Dance lessons, dinner and a late night party. Swing Dancing evoking the best Swing bands from the 1930s, 1940s, combined with the best Swing music over the last ten years. 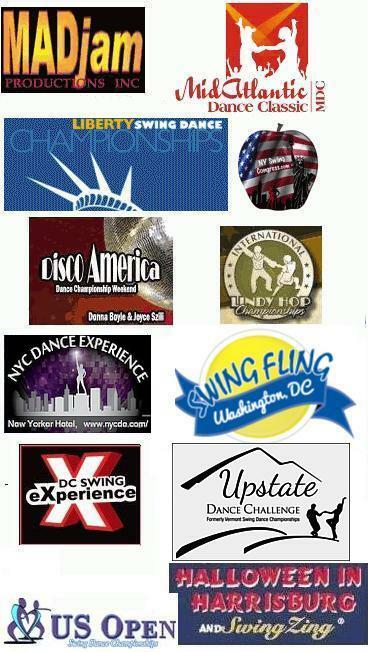 Expert Swing Lessons from local Ballroom Swing dance instructors! Salsa DJ serves up a repertoire spiced with traditional Cuban son, cha-cha-cha and merengue. Black Tie, Semi-Formal, or vintage wear encouraged. Members of the armed forces are encouraged to wear military dress uniforms. Mini grab bag, Door prizes and a Pre-Valentine Steppers Set! Couples and singles! Wear RED! Silent auction, with over 200 items! Dance 9-11:45pm, Band plays 2 sets. DJs Ca$hy & Cruz playing, Featuring the unforgettable Samwell. Dressing up in 80s, 90s or 2000s outfits encouraged! March 9 - Craig Gildner Presents Six Appeal! Goodman/Shaw Small Groups! Songs in Cajun French (with Cajun squeezebox, fiddle, acoustic guitar, standup bass, harmonica, and triangle) power three hours of two-steps and waltzes. Let the Corner Store’s cozy character, hardwood floor, and great acoustics carry you to a 1920s Louisiana house party. Guests are encouraged to wear black and/or white. All ages welcome. No partners needed. Dance, or sit and enjoy. Parking at the WCCC is located via Dunlop Street behind the clubhouse. Halley Shoenberg has been playing clarinet and saxophone for dances at Glen Echo Park for 20 years, most recently with her own group, “Halley’s Hot Gumbo Swingtet,” the Tom Cunningham Orchestra, the Craig Gildner Big Band, and Shannon Gunn and the Bullettes. She now fronts her own 11-piece Revival Jazz Band & boy do they swing!!! We heard them back in November and knew we had to have them play at one of our dances! As a dancer herself, Halley knows what the dancers want and trust us when we tell you that this band delivers! $20, $15 for students with a valid ID, cash, check, or plastic. 7 – 9:30, $10, includes refreshments. YES! there will be dancing! Parking garage next door free after 7pm and on weekends. featuring the music and dance of the swing era. 11 bands present 24 hours of music for listening and dancing. Regional dance troupe performances throughout the festival. $15 adv $20 at the door, $15 for Partnership Members and students. April 25-28, DCLX: Syncopation Without Representation! 9-midnight: Blues and Swing all evening! 7pm; Cash bar and refreshments, Ballroom open to ticket holders. $15 Adv online, at the door $20. Final First Friday Swing of the season! Prom theme, dress for the occasion and get ready for photos. Wear what's comfortable and if it's your thing...wear your denim and your bling! Features over 15 workshops, two track levels, three nights of dancing, discussions, competitions, and world famous instructors. Focus on solo jazz, personal movement, and putting the dancing back into your Lindy Hop. The intermediate track includes a Lindy Hop boot camp and a wealth of solo jazz classes. The Advanced track focuses on using your knowledge of solo jazz in your Lindy Hop. Student must be advanced Lindy Hopper and competent solo jazz dancer. Auditions are required. All Saturday activities will take place at Glen Echo Park. 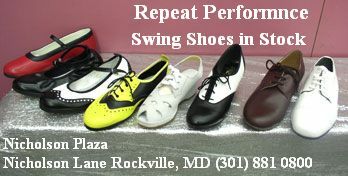 Lindy hop workshop weekend, Richmond, VA's longest running dance weekend! Jammin' on the James has new(!) surprises and something to offer for complete(!) beginners to the more advanced.